A few decades from now, will it be common knowledge that using microwave radiation to heat food is harmful to human health? It’s certainly a possibility, and information is already emerging which shows cause for concern. Microwaves work by causing water molecules to resonate at very high frequencies, converting them into steam and thereby heating your food. While this might be a convenient way to prepare your food, using microwave radiation in this way actually changes the chemical structure of that food. The fact that they are approved as safe doesn’t mean much these days, as we’ve seen with several other examples from Tobacco, PCBs and Asbestos and Glyphosate. Just because a government agency, like the Food and Drug Administration (FDA), or a government health agency approves something as safe, doesn’t necessarily mean it’s safe. You might be wondering how this is any different from heating your food on the stove or steaming it, and that’s a fair question. 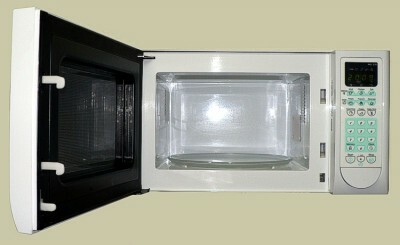 The difference is that microwaves deform and distort the molecules in food, while conventional heating methods do not. It is starting to look like microwaving can completely rid your food of most essential nutrients, but more research on this phenomenon needs to be done. That being said, there are some publications we can refer to if you’d like to find out more information regarding the harmful effects of microwaves on nutrients. A study using garlic found that just 60 seconds in a microwave can render its principle active ingredient (alliinase) as useless. Microwaves have also been found to destroy immune-boosting agents that are found in breast milk. These are disease fighting nutrients which are essential to the health and development of the child. For example, one study found that microwaving breast milk caused a decrease in lysozyme activity and antibodies, and aided the growth of more pathogenic bacteria. (source) The interesting thing about this study is that the researchers found that more damage was done to the milk from microwaving compared to any other method of heating. What Type of Container Are You Using To Microwave Your Food? Not heating your food in plastic containers should be a no brainer at this point. This is precisely why the US Food and Drug Administration (FDA) recommends that any plastic containers should be labelled for microwave use, but even if they are labeled as safe, it’s still probably not a good idea. For more more information on what happens when you microwave your food in plastic containers, you can check out thisarticle. Many studies have shown that multiple plastic products contain various hormone disrupting chemicals, and heat is the worst culprit when it comes to increasing the rate of chemical transfer from the container to your food. Using a sensitive and quantitative competitive enzyme-linked immunosorbent assay, BPA was found to migrate from polycarbonate water bottle at rates ranging from 0.20 ng/h to 0.79/h. . . . At room temperature the migration of BPA was independent of whether or not the bottle had been perviously used. Exposure to boiling water increased the rate of BPA migration by up to 55-fold. This may be frightening to consider, but examining the products we choose to use on a daily basis is important. We have seen many examples in recent human history of information coming to light about a product or drug which completely changes our understanding and attitude towards it. We only have to look at cigarettes to see the proof of that.